Our award-winning ReSound Smart Hearing aids, accessories and apps are a testament to our commitment to creating innovative hearing solutions. But more than the recognition and the accolades, we value you. We value the fact that our hearing solutions help people with hearing loss be part of the conversation again. As we continue our work, we look to our hearing aid users and hearing care professionals for their invaluable input. With your shared experiences, we can understand your unique needs and challenges. With your shared experiences, we can provide the best possible solutions that helps satisfy our users. People with hearing loss are at the heart of everything we do. 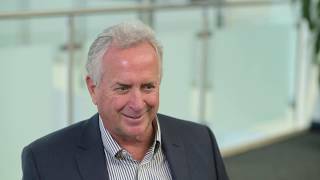 See what some of these people have to say about ReSound hearing aids. ReSound HearSay gives people who are successfully managing their hearing loss an opportunity to educate and inspire others to seek care. Take a few minutes to read stories from people who are successfully managing their hearing loss, and take a moment to leave your own journey to better hearing. 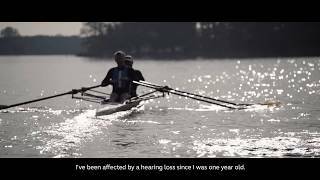 For ReSound LiNX 3D user Bo Vestergaard from Denmark, it’s now easier than ever to relax and soak in his sound environment while he’s out rowing. 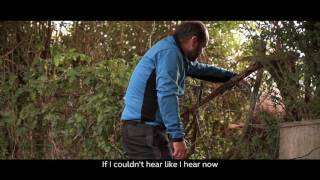 Find out how ReSound LiNX 3D has given Angel Martinez from Spain the freedom to clearly communicate with his cycling team on the road and personalize his hearing. Iñigo loves his ReSound LiNX². Hearing aids from ReSound is by far the best hearing aids in the world if you ask him. He can hear again. The best hearing aids on the market allows Iñigo to once again hear his favourite sounds, his colleagues and, most importantly, his wife and children. Visually and hearing impaired, Jonathan suffers from Usher Syndrome Type II, meaning he has moderate hearing loss, no peripheral vision, is night-blind and only has tunnel vision. He has worn hearing aids since the age of three, and was diagnosed with Usher Syndrome at age 15. Helen Piccarella has severe-to-profound hearing loss and wears ReSound ENZO². She experienced an instant change when she started using the ReSound ENZO². Helen is 46 years old and she has used many different hearing aids throughout her life. She experiences a big daily change with ReSound ENZO² in relation to sound quality as well as usability. 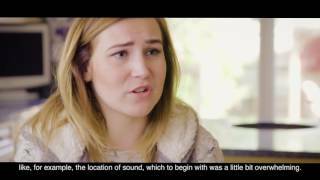 Molly Watt, diagnosed with Usher Syndrom age 12 talks about her condition and how technology, especially her ReSound LiNX2 smart hearing aids help her maintain her independence and live an active life. Find out what ReSound hearing solutions can do to improve your life. Visit a local hearing care professional in your area.